Every day millions of people go through their day either tired or in pain. If you hurt, you should not. If you are tired, you should be well rested. These are simple facts, but all too often people living in pain or a state of tiredness believe that is just how it is. The truth is that you are most likely just nutritionally deficient. The human diet is limited in its ability to provide the essential nutrient requirements to the body. This impedes its various functions and hinders the body’s well being. To counter this, Biometics Nutraceutical Company has come up with optimized nutritional supplements developed after years of extensive research. A balanced diet may be an ideal solution to provide a wholesome nutrient supply to the body. But more often than not, the digestive system fails to absorb the nutrients. 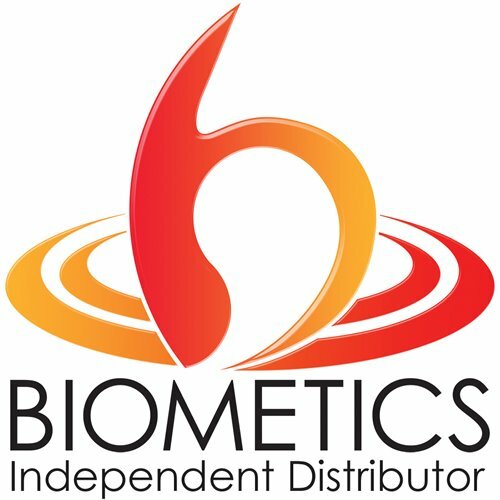 Biometics Nutritional Supplements come with the unique Biocellular Micellization Technology that makes the nutrients available in a liquid form, which leads to better absorption. This technology is a trademark of Youngevity and signifies a culmination of the scientific expertise the company can boast of. With a number of supplements having various targeted effects, Youngevity come out in a range of products. Each supplement is customized and carries a high level of scientific expertise. Here are some of the products of Youngevity. Aloe Vera: Aloe Vera is universally known as a healer and a soothing agent. It is processed and extracted the constituents of aloe and come up with a product that soothes the digestive system. It nurtures the inner linings of the intestine and promotes better absorption. Bio Immune: This Nutritional Supplement enhances the body’s disease resisting capacity. Bio Immune has appropriate amounts of vitamin C that balances the requirements of the body. Bionite: This product induces, promotes and enhances sleep without having any detrimental effect on the body. Get – Go – N Plus: This is a Nutritional Supplement that maintains a day long stream of energy throughout the day. BioMega 3: Introducing fish oil extracts in a liquid form. Bio Alert: Bio Alert is a nerve tonic that increases the focus and clarity of mental processes. It contains essential B vitamins coupled with choline. Bio Fuel: This product supplements the daily nutrient requirements of the body. 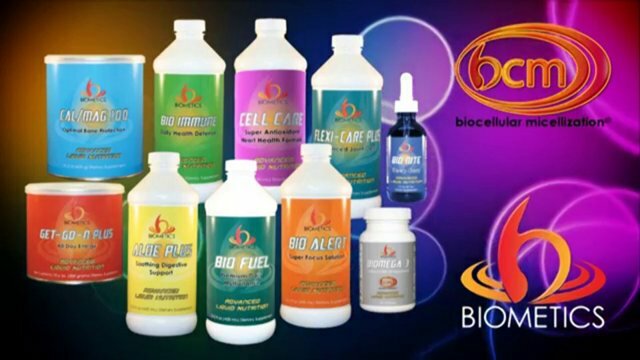 Bio Fuel contains a vast assortment of essential vitamins and minerals to promote the general well being of the body. Cal/Mag 100: This Nutritional Supplement provides the required quantities of calcium and magnesium to maintain the quality of the bones of the human skeletal system. Power Melt: This supplement is known to promote enhanced metabolism of stored fats, thereby promoting natural weight loss in the human body. Cell Care: With age, the body begins to decay at a cellular level. To arrest the development of aging. Cell care supplies an assemblage of 20 high potency antioxidants that reduce the free radical damage associated with increasing age. Flexi Care Plus: Flexi Care Plus is a joint care formulation that nurtures and cares for the joints along with the muscles associated with them. This supplement is fortified with MSM, Collagen Type I. These Nutritional Supplements are made from 100% natural ingredients that have no adverse reactions on the body. It is a universally known fact that a healthy diet can work wonders when it comes to taking care of your health. A lot of common diseases arise from the inability of our diet to provide an inflow of essential nutrients. A decent diet can never be substituted. To improve our health, it is not necessary to introduce a drastic overhaul of our diet. Very often, minute changes in our food habits can have a pronounced effect on the body. Inclusion of small dietary additives can go a long way in creating a healthy food intake for the body. Since the advent of the industrial revolution, the food habits have undergone a paradigm shift towards fast food. People had to go to work and there was no time. Hence, burger stores sprung up everywhere offering an easy solution. Even today, the rising trend of obesity can be attributed to the over consumption of fast food. We have come up with a list of food that should be included in the diet to improve the body’s functioning. The list is merely a representative one and is not an ideal one. Water: The human body is made up of over 70% water or various fluid medium. Water provides an effective means of carrying out the various natural processes and provides a way to excrete out wastes from the body. Fruit juices can be even better. However, fluids should not be mistaken with soft drinks that can severely cause dehydration and irreparable enamel damage. Fruits and vegetables: Everybody knows about the benefits of fresh fruits and vegetables when it comes to eating a healthy diet. Apart from essential nutrients and vitamins, fruits and vegetables contain adequate amounts of fiber that enhances the digestive capacity of the body. Lots of green leafy vegetables can show an instant result on the health. Vegetables such as kale, broccoli or cabbage and fruits such as raspberries can have a lot of benefit in the prevention of cancer. Freshly prepared food: Food retains most of its nutrient value when it is fresh. The busy lifestyle has forced us to modify our cooking patterns whereby cooking is done only once or twice a week. The food is then stored and consumed throughout the week. This is not a healthy habit as stale food loses its nutritional value. Vegetarian diet: Benefits of a vegetarian diet are countless. Meat products contain a lot of chemicals that are directly incorporated into our bodies when we consume them. In contrast a vegetarian diet is has a relatively diminished effect of bio magnification on our body. Less junk food: Junk food comes in great varieties and is a treat for the tongue. But over the long run, they are something you would want to avoid. Multinational corporate have devised ways to enhance profit through the popularity of junk food. However, one should always remember that health is best achieved without the consumption of junk food. Biometics offers the most advanced of products in health and nutrition with precise scientific expertise and unparalleled application of science using state of the art technology. It has over two decades of experience in creating formulations with an optimized blend of essential nutrients to maximize health benefits. The effectiveness of their formulations has been tried by people the world over. Besides its path breaking products, it has come up with its unique Independent Distributor Opportunity that allows anyone to get involved and set up their own businesses. The simplicity and practicality of this model of marketing has a potential that has only been partially realized. Almost anyone can be a part of this business and make a fortune of it. The Independent Distributor Opportunity is a wonderful wealth generating platform. I use the term wealth here because money doesn’t sound right. It just is too big an opportunity. To promote the products, to help friends, family and acquaintances lead a better life is what this venture is all about. Any other start up will cost you well more than the $300 required to obtain the distributorship of Biometics Liquid Nutrition. What one basically has to do being an Independent Distributor is simple; sell. You shall be responsible for the promotion and distribution of the products for a commission and this should not be too difficult, since it has carved out a name for them in the world of nutrition. Popularity of products can alone drive your business. Little specialized knowledge and skills are required to do this job and the company provides enough resources to train you on how to go about the business. Availing the Independent Distributor Opportunity lets you make others join the business too. This way you get a part of the sales that your down line distributor makes. Remuneration in Independent Distributor Opportunity can be hard to believe. Every month thousands beneficiaries of Independent Distributor Opportunity cash in on this wonderful prospect. Whether you need just a few extra bucks to pitch in for your bills or whether you are looking for a life changing opportunity, Independent Distributor Opportunity is flexible to say the least. You can achieve whatever you want to achieve. Another advantage of Independent Distributorship Opportunity is the freedom of making your own choices. There is no one above you and no one below you. So everyone is practically at the same level. And your success in this business will be sole determined by your will. It is rare to find something that offers you so much at such an elastic setting. You can choose your own timings or take a day off to give life some time; every step of Independent Distributor Opportunity is filled with fulfillment. In today’s world, job cuts and rising unemployment have affected thousands of people. A standard start up business can cost a lot of money. Then there is the associated risk that is inherent in all business. Independent Distributorship Opportunity is an alternate way to financial stability and living your dream. Nutritionists recommend all people to have balanced diet that’s a healthy diet. However most of the people have found it so useful to supplement their diets with liquid vitamins because it assists them to accomplish and achieve proper and efficient intake levels. It is very important to discuss your supplement with your nutritionist or your doctor to ensure that you don’t over exceed what you required for a day. The doctor would actually recommend you to use liquid vitamins because it functions as the pills but is more efficient because of easy absorption. It is very true that some people like children usually hate swallowing pills. Therefore liquid vitamins are the most effective alternative that would be easily administered by the kids because you can simply use a dropper to easily deliver the dosage to the child. The fact is that the liquid vitamins may not have a pleasing taste. It is also allowed to mix the vitamin with foods and drinks to improve the taste but you should always follow the physician’s direction as well as the manufacturer’s instructions. Additionally people who have stomach upsets may not be able to easily digest and donot absorb the vitamin tablets or pills effectively. In order for your body to obtain these nutrients from tablets your body should actually dissolve the tablet into tiny pieces. In case the pill has poor dissolving rate, or else if your body doesn’t produce adequate stomach acids, the tablet might never completely dissolve. The advantage with liquid vitamins is that it is already in dissolved form therefore the gastrointestinal tract can do process the nutrients speedily. Through this way your body can obtain the highest level of nutrients because the liquid vitamins is easier to absorb. Overdosing liquid vitamin is very dangerous, for instance according to the United States Food and Drug Administration update they released warned people against overdosing vitamin D. Despite the fact children benefit from vitamin D by promoting their calcium absorption in their bodies which is good for bone formation, too much consumption of vitamin D on the other side can be too dangerous. Some of the hazards associated with overdosing vitamin is vomiting, nausea, kidney damage and also abdominal pains among others. Some researchers also found that other droppers used to administer the vitamin sometimes contain or hold excess liquid and this led to accidental over dosage. The Food and Drug Association of the United States recommends the following basic precautions to actually avoid overdose. First of all the users should always adhere to the instructions provided by the doctor or the manufacturer’s instruction. Second you should not use droppers from other liquid supplements to give the dose. It is also recommended to keenly examine the dropper you are using to ensure that you understand the readings required for you to. Finally it is wise for the liquid vitamin user to discuss with his or her physician any query concerning the medication. Therefore it is highly recommended to use liquid vitamin because it is more effective than the pills.